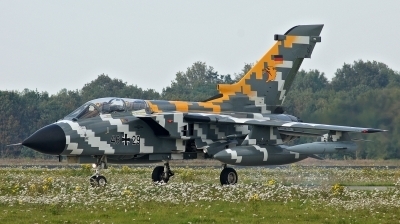 "Digi tiger" Tornado ECR assigned to 321. staffel / JGB-32 at Lechfeld AFB is returning back from COMAO sortie during NTM 2011. 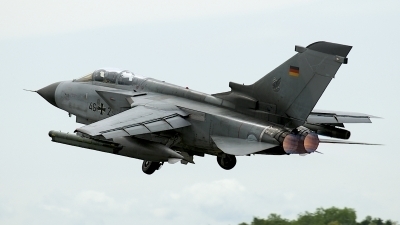 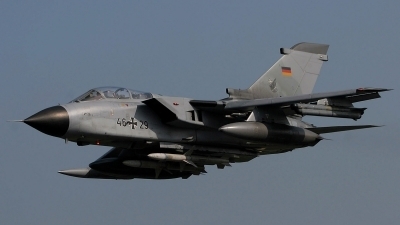 Tornado is equipped with pair of drop tanks 1500 l, one register CATM-9, REB pod "Cerberus" and flares pod BOZ-101. 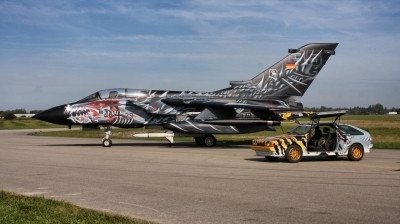 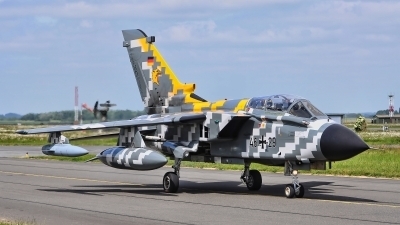 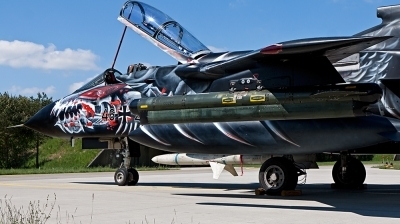 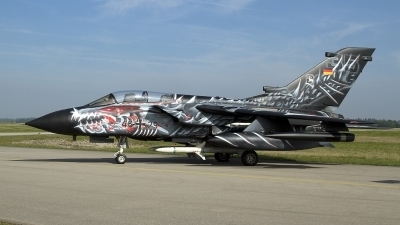 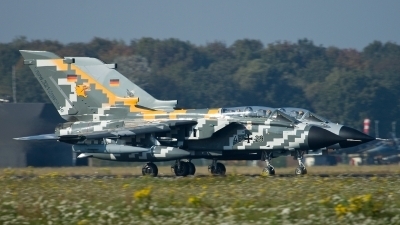 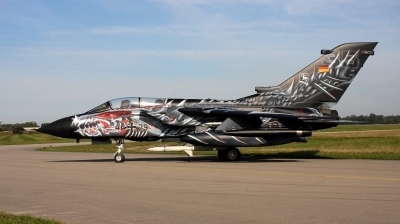 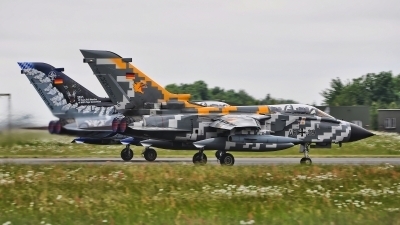 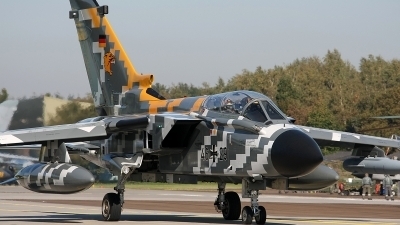 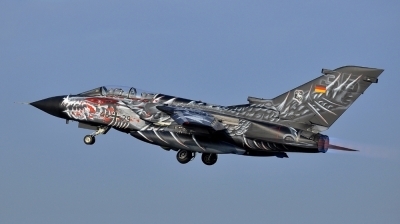 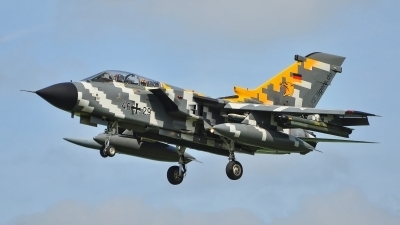 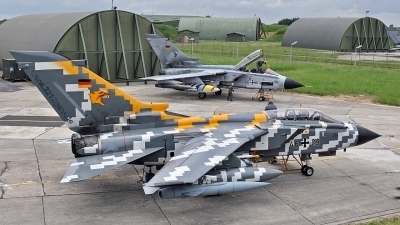 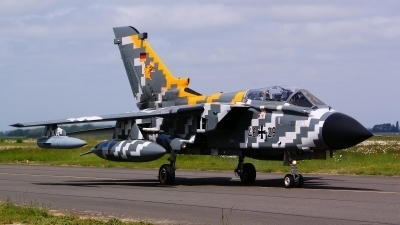 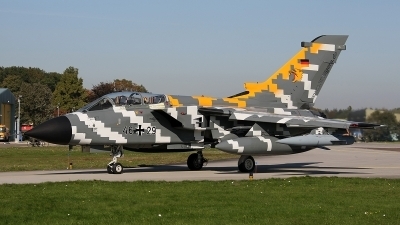 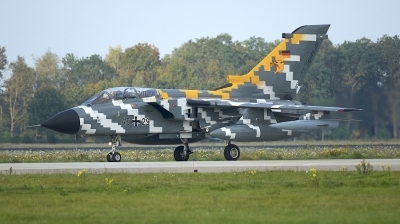 "Digi tiger" Tornado ECR from 321. staffel / JGB-32 at Lechfeld AFB is taxiing into COMAO sortie during NTM 2011. 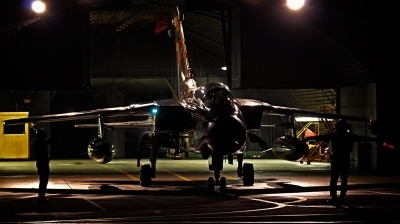 Tornado is equipped with pair of drop tanks 1500 l, one register CATM-9, REB pod "Cerberus" and flares pod BOZ-101 (under right wing). 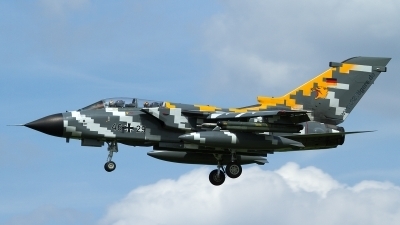 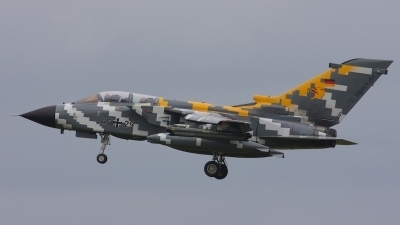 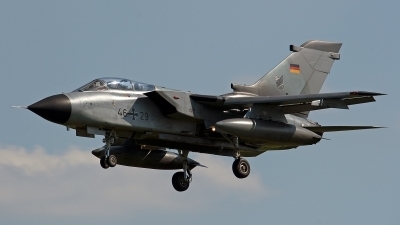 "Digi tiger" Tornado ECR from 321. staffel / JGB-32 at Lechfeld AFB is landing at RWY 28 after COMAO sortie during NTM 2011. 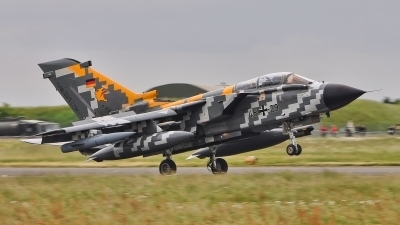 Pair of "tigers" from 321. staffel / JGB-32 at Lechfeld AFB is taking off into COMAO sortie during NTM 2011. 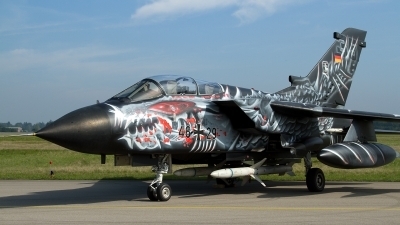 Monsterjet of the 2./JaboG32. 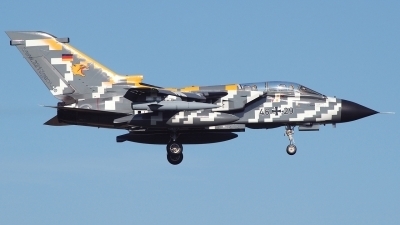 Some days later this beautiful ECR Tonka was scrapped.